If you’re thinking of scaling up your business’ lead generation and customer acquisition – there’s one highly effective solution: marketing automation. Marketing automation provides your business with the ability to automate certain marketing actions by replacing high-touch, repetitive manual processes with intelligent automation, allowing businesses to improve their operational efficiency significantly. Activities such as email marketing, customer segmentation, lead nurturing, lead scoring, social media posting & monitoring and much more, can all be automated – making your communication and activity more efficient and preserving your precious marketing resource - allowing the people who understand the marketing of your business to redirect their energies to other aspects of the marketing campaign and scale the business! 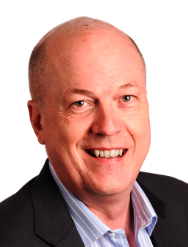 Of course, all of these activities are manageable at small volumes without marketing automation tools, but once a business decides to scale up its marketing activity and engage on a number of channels, it is no longer practical, nor feasible, to manage the marketing campaign manually – and marketing automation software must step in. But what marketing automation platform is right for your business? To help you choose, we are going to analyse the top 10 marketing automation platforms, according to G2 Crowd’s market research report. The assessment of each marketing automation platform include reviews from users on G2 Crowd. In tenth place, we have Adobe Campaign, formerly known as Neolane. Adobe Campaign has numerous reviews commenting on the potency and sheer volume of features included within the tool. In ninth place, we have Real Magnet. While Real Magnet is a relatively new kid on the block, it has a tremendous amount of powerful features and has been praised for its superb technical support team. It initially started out as an email marketing solution, but has since expanded to include marketing automation. In eighth place is SharpSpring. SharpSpring is an excellent choice that provides a number of marketing automation functionalities at an affordable price point. Reviewers on G2 Crowd have praised SharpSpring for its cost-effectiveness and diverse range of features. In seventh place is iContact Pro. iContact Pro is another inexpensive and feature-rich marketing automation solution. Users on G2 Crowd have highlighted how easy the platform is to use – and the deep level of customisation it offers for certain aspects – particularly email templates. Next up in sixth place, Oracle Eloqua. Oracle Eloqua is a powerful marketing automation solution that is targeted more towards large enterprises. Reviewers on G2 Crowd have praised the platform for its robust content management system, powerful features and general flexibility. In fifth, we have ActiveCampaign. ActiveCampaign is an ‘all-in-one’ marketing platform that is praised by G2 Crowd reviewers as easy to use and powerful. Reviewers have also highlighted its great interface. Frequent mentions have been made to Act-On’s exceptional customer support and their ability to quickly troubleshoot technical issues. G2 Crowd reviewers have praised Act-On’s technical team’s ability to go above and beyond to solve issues for customers! And now, the top three. These marketing automation platforms are the main contenders and market leaders in the space – and undoubtedly worth considering for your business. These are: HubSpot, Marketo and Pardot. 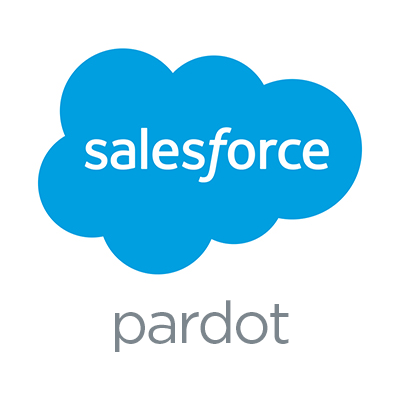 Offering ‘intuitive marketing automation’, Pardot provides users with a full marketing automation suite, including lead management software, email marketing, lead nurturing, lead scoring and ROI reporting - helping to align marketing and sales teams and streamline processes. Marketo is a powerful and easy-to-use marketing automation tool which helps marketing and sales professionals to drive revenue, engage customers and prospects, and improve their digital marketing activities. Described as the ‘ultimate “all-in-one” package’, HubSpot comes with everything you need to do your marketing activities with one login - from email marketing and social media to lead nurturing, management, automation and workflows. In addition, HubSpot’s products can all be seamlessly integrated with each other, providing you with a marketing platform which is capable of everything. But which one is right for your business? If you want to find out more and discover which of these provides the top marketing automation software, click the button below to download our marketing automation comparison slides. What can marketing automation do for your business?